Heading to Zion National Park in the summer is a family vacation to remember for the ages, but unfortunately, part of the memory will be waiting in line for shuttle buses and wilting in afternoon highs of 100℉. 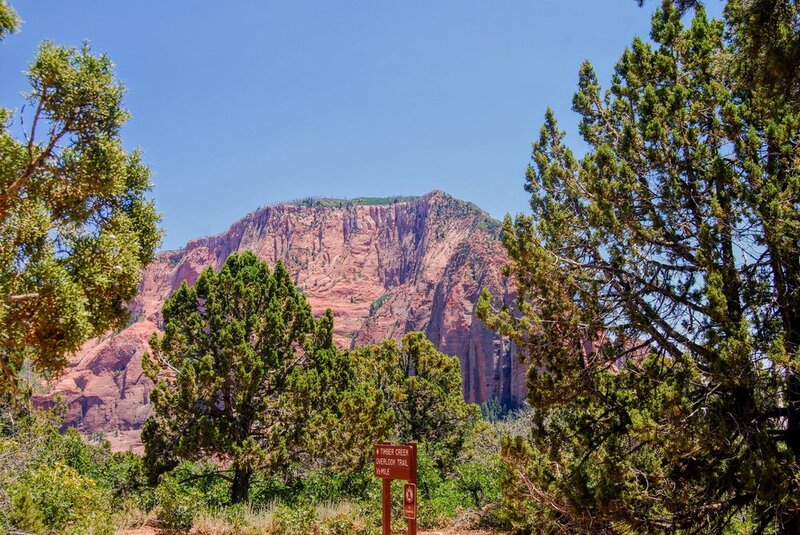 Because the park is so fantastic, other memories will easily outweigh these irritations but you can also skip them for a day by detouring to Kolob Canyons, the unheralded northwest corner of the park. Here you can take scenic hikes, drive through a beautiful canyon, and actually stand a chance of finding some solitude on the trail. The higher elevation (7000ft versus 4000ft in the main canyon) also makes Kolob Canyons even more appealing when the heat is too much to bear elsewhere in the park. From the main Visitor Center in Zion Canyon (at the South Entrance of the park near Springdale), it is a 45 minute drive to Kolob Canyons. Take Hwy 9 west to Hwy 17 and turn right, following the signs for I 15 north and Cedar City. Once on I 15, drive about 12 miles and take exit 40 for Kolob Canyons. Stop in the Visitor Center and pay for a park pass (if you don't already have one). The pass is good for a week to any part of Zion National Park. Talk to the rangers if you have questions about the hikes. The Visitor Center is small and mostly consists of a gift shop, but there is a tiny section on the flora and fauna of Kolob Canyons. Take advantage of its decent bathrooms, the rest of the park just has vault toilets if that. Drive the 5 mile long and super scenic Kolob Canyons Rd to the end. It takes about 15 minutes but plan on longer because you will want to stop for pictures. Lots and lots of pictures. Hike the Timber Creek Overlook Trail at the end of the Kolob Canyons Rd. This easy 1 mile roundtrip hike leads to a spectacular overlook and only takes 30- 45 min. Even in summer, the altitude of Kolob Canyons means it isn’t too hot. My family did it at 1 pm on July 4th, and it was just in the upper 80’s. Take sunscreen and a hat though, because there is next to no shade on the trail. Have a picnic. Pick up something at River Rock Roasting Company in the town of La Verkin on your way to Kolob Canyons from Zion Canyon. There are nice shaded picnic tables at the Timber Creek Overlook Trail or you can hike down to Taylor Creek and find a spot. From the parking lot of the Taylor Creek trailhead, it is less than 0.25 miles to the creek bed on the trail. Let the kids throw pebbles and splash around in the small amount of water usually found here while you enjoy the scenery. Stop in the Visitor Center, talk to the rangers about your hike, and buy your national park pass. Make sure you have lots of water. Hike Taylor Creek Trail. This is a kid-friendly, moderate, 5 mile round-trip hike to Double Arch Alcove, so named because water has eroded away the sandstone in a huge, cave-like arch. The trail follows along Taylor Creek so kids will have fun jumping over it and skipping through it. There is usually not much more than a couple of inches of water in the creek. The trail does ascend about 450ft up the canyon so it is not a flat hike. It should take 3- 4 hours to hike it, not including a picnic stop under the arch or by the creek. Drive through the canyon on scenic Kolob Canyon Rd and finish the day with a sunset view of the canyon from Timber Creek Overlook Trail. Stop at the Visitor Center, talk to the rangers about your hike, buy your national park pass, and get your wilderness permit for your backcountry campsite . Hike the La Verkin Creek trail to Kolob Arch. This strenuous 14 mile roundtrip hike is much easier spread out over 2 days. There are 13 campsites along La Verkin Creek which is usually flowing, meaning the kids have a place to play and you don’t have to lug as much water. 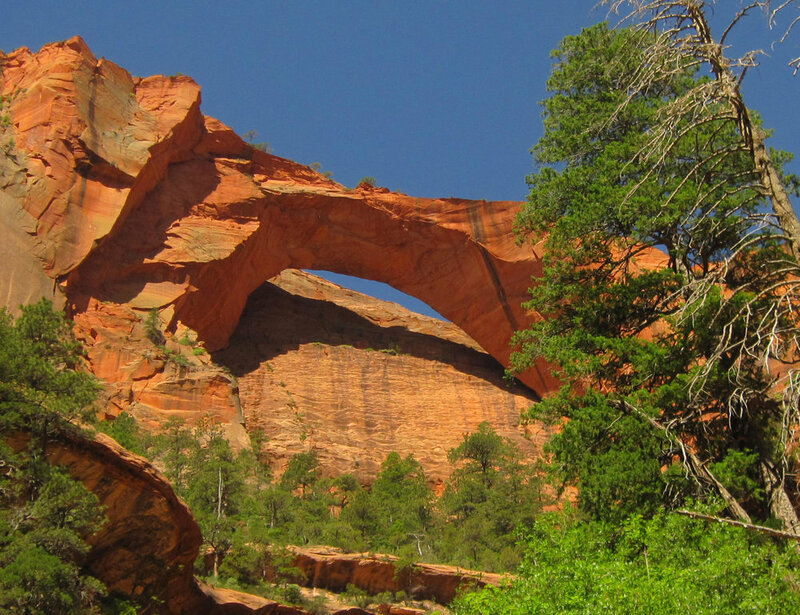 Kolob Arch is one of the largest in North America and is stunning. The only real downside to this hike is that the parking area is about 1000 ft higher than the main trail by La Verkin Creek, great on the way in but not so much fun on the way out. This blog has a great description of the trail, including individual campsite options. In fact, this blog is what gave me the idea for splitting the hike into two days. I had previously dismissed this hike as too far in one day for the kids. Now it is at the top of my list for my next visit to Zion. 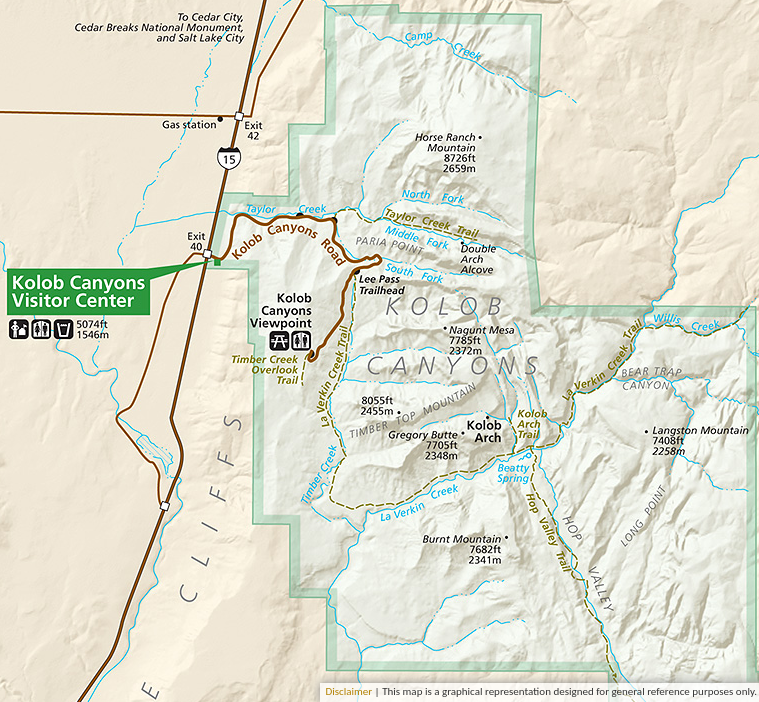 On the second day, after you hike out, drive to the end of Kolob Canyon Rd and do the Timber Creek Overlook trail. You can look down on what you hiked the day before and give yourself a pat on the back. Don’t skip Kolob Canyons on your visit to Zion National Park, you won’t regret the effort to get here and to see a different, less crowded, side of the park! Make sure to check out our facebook page to see the whole album from this trip. If you are planning a trip to Zion, purchase our 7 day itinerary to Southwest Utah. It includes several days in Zion and in Bryce Canyon National Parks as well as a day trip to Kodachrome Basin State Park and Grand Staircase- Escalante National Monument. 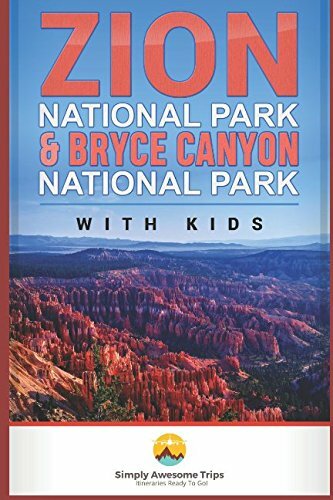 Packed full of hikes, lodgings, and tips geared towards those traveling with kids. That means hikes doable for children, lodging options suitable for families, and everything I learned along the way, including what not to do. This a 67 page pdf with pictures, maps, and even has a list of rainy day activities for when Mother Nature is not your friend. You can also purchase the itinerary on Amazon in paperback or kindle version. If you liked this blog, then check out other national park write- ups.